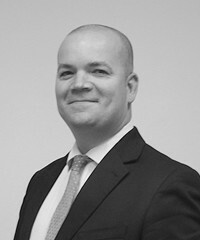 Matthew Corn qualified as a barrister in 1995. He transferred to become a solicitor in 2002 and joined us in April 2014. His background is as a Serious Crime Specialist and he is a supervisor for VHCC cases for both fraud and non fraud. His litigator caseload invariably involves cases prosecuted following National Crime Agency (NCA) investigations as well as HM Revenue and Customs and also the Counter Terrorism unit. He also deals with a number of complex proceeds of crime confiscation matters and has appeared in high profile cases involving fraud, drugs importation conspiracies and terrorism. Here Matthew discuses the explains the importance of using a specialist criminal defence solicitor if you face serious criminal charges. As well as being a member of the Law Society, he remains a (non practising) member of the Bar of England and Wales. 2019 – Leicester Crown Court – Operation Buster ; representing defendant charged as part of a multi handed importation, supply and production of Class A and B drugs. 2019 – Manchester Crown Court – Representing two defendants charged in multi handed drug supply allegation. 2018 – Operation Cosmetic – Manchester Crown Court representing defendant charged with a conspiracy to supply class A drugs and possession of a firearms. 2018-2019 – Operation Blush – Liverpool crown Court. Representing defendant charged with conspiracy to possess firearms and to supply class A and B drugs. 2018-2019 – Operation Quartz –Manchester crown Court. Representing defendant charged with production of amphetamine. 2018-2019 – Operation Hemisphere – Sheffield Crown Court. Representing defendants charged with conspiracy to supply class A drugs. 2018 – Operation Pelican – Preston Crown Court; representing defendant in money laundering allegation involving 2 other defendants. 2018 – Operation Image – Manchester Court; representing a defendant in multi handed gang related murder. 2017/8 – R v K – Leicester Crown Court, represented defendant charged with entering into a money laundering arrangement and subsequent confiscation proceedings. 2017 – R v T – Manchester Crown Court; represented defendant charged with murdering his friend. 2017-2019 – Operation Crew – Nottingham Crown Court. Representing defendant in multi handed conspiracy to supply class A drugs. 2017 – R v L – Maidstone Crown Court. Representing defendant charged with fraud by abuse of position. 2017 – R v G Manchester Crown Court. Representing defendant charged in a multi handed kidnapping, robbery and wounding allegation. 2017 – Operation Troop – Manchester Crown Court. Successfully represented defendant in multi handed “gang related” murder case. Client acquitted of murder and guilty of manslaughter. 2017 – Operation Crackle – Birmingham Crown Court. Representing defendant in multi handed conspiracy to rob and supply a firearm. 2016 – Operation Coda – Liverpool Crown Court. Represented defendant in a multi handed gangland style murder case. 2016 – Operation Afterburn II – Portsmouth Crown Court. Currently representing 2 defendants in a multi handed conspiracy to supply Class Drugs. 2016 – Operation Cornwallis – Manchester Crown Court. Currently representing defendants in a money laundering and illegal money lending case. 2016 – Operation Quad – Norwich Crown Court. Representing defendant in a conspiracy to supply Class A drugs. 2016 – Operation Limited – Liverpool Crown Court. Represented defendants charged with mortgage fraud and money laundering. 2015 – Operation Calzone – Northampton Crown Court. Currently representing one of 19 defendants charged with conspiracy to supply Class A drugs. 2014 R –v– S Liverpool Crown Court. Represented defendant charged with conspiring to import half a tonne of cocaine. 2014 R –v– B Manchester Crown Court. Represented former bank manager charged with fraudulently transferring over half a million pounds of client money into his own accounts. 2014 R –v– S Manchester Crown Court. Representation of defendant charged as part of a multi million pound money laundering operation prosecuted by HMRC. 2014 R –v– R Liverpool Crown Court. Representing defendant charged with importation of drugs previously known as “legal highs”. 2011 – Operation Munda – Manchester Crown Court. Representation in terrorism case involving the use of undercover officers infiltrating a group said to be recruiting for the Taliban.